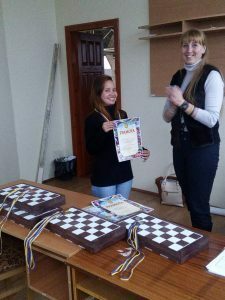 II Open University Games of the city of Ternopil organized by the Department for Family, Youth and Sports of Ternopil City Council and Ternopil Regional Branch of the Committee on Physical Education and Sport of the Ministry of Education and Science of Ukraine started on March 6, 2018. 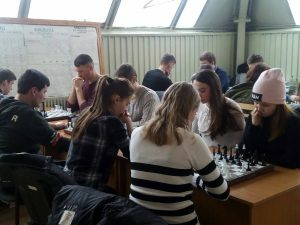 Ternopil State Medical University teams take part in basketball, football, volleyball, table tennis, basketball (3 by 3), chess, swimming, and arm wrestling competitions. 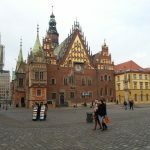 Our chess team was the first to test their mettle. 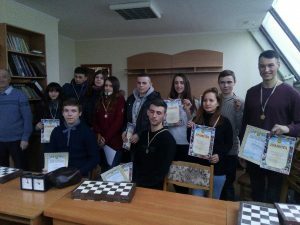 TSMU, TNPU TNEU-1 and TNEU-2 teams competed in a team and personal championship. 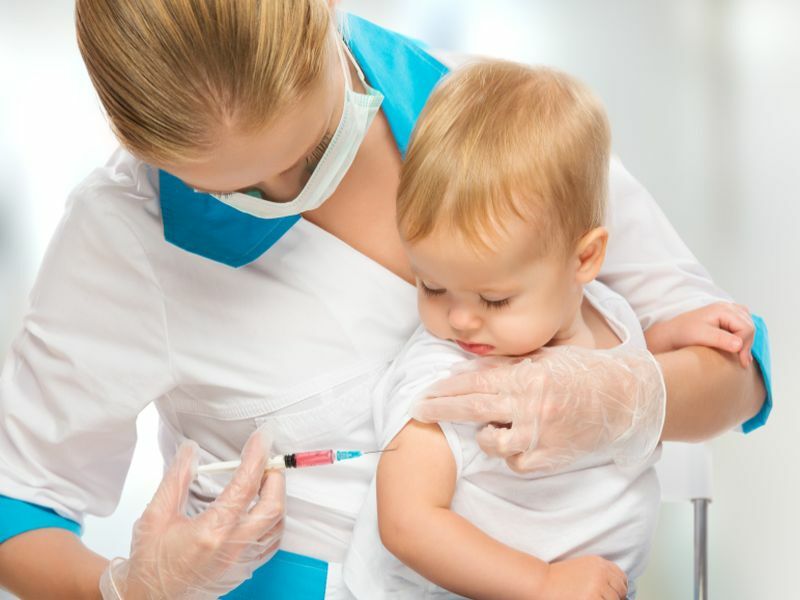 Students from Ternopil State Medical University took the I place, leaving behind traditionally strong TNEU-1 and TNEU-2. 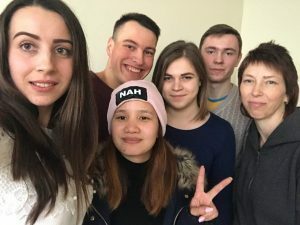 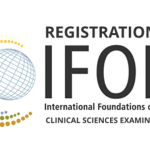 Our team includes Mykhailo Yakymchuk, Yurii Kovenko (Faculty of Dentistry), Uliana Soltys, Natalia Boiko, Oleksandr Ivaniuk (Faculty of Medicine) and Dekri Mindo (International Students’ Faculty). 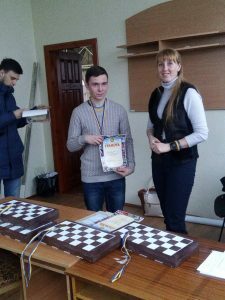 Mykhailo Yakymchuk took the first place on the first board, Dekri Mindo and Yurii Kovenko the first place on the second board, and Uliana Soltys was the second on the first board. 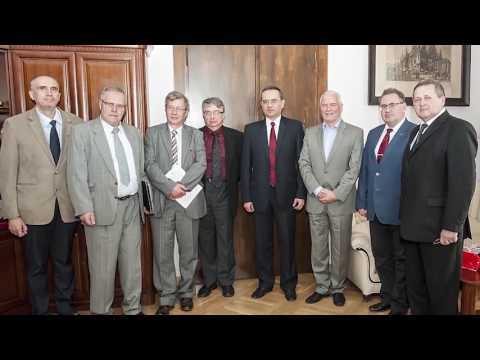 Altogether, TSMU team scored 12 points. 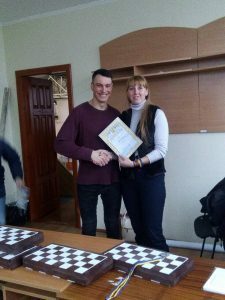 The tournament took place in the chess club of Ternopil National Economic University. 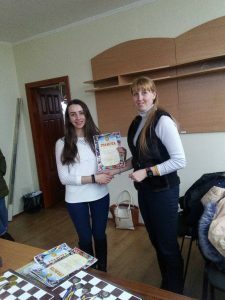 Ternopil Medical University team is coached by Assistant Professor of the Department of Physical Rehabilitation, Human Health and Physical Education Liubov Novakova.